Item Number: 750-1-42 19509 Actual Weight: 1 lb. 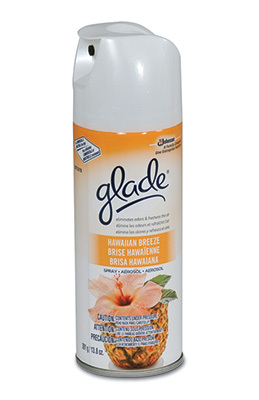 Eliminates strong, persistent odors with a clean scent. Choose from Super Fresh Scent or Hawaiian Breeze Scent. Spray cans contain no CFC’s.